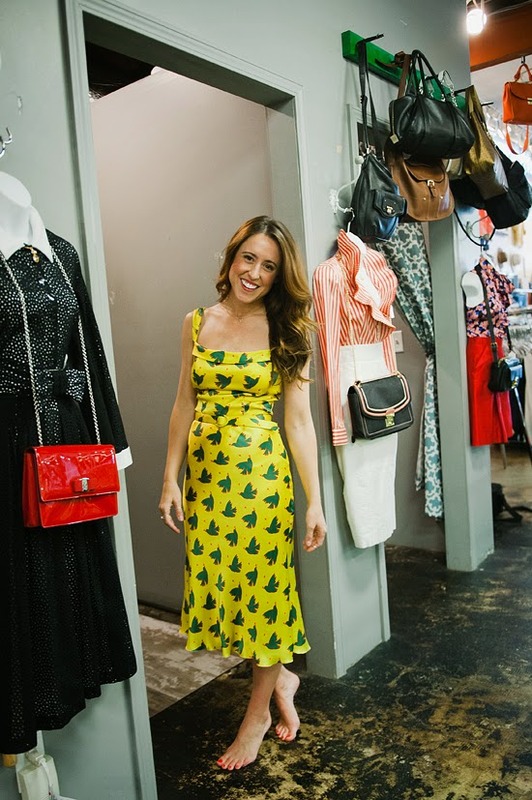 I loved putting together the second Sip, Shop, See post, featuring the Nashville neighborhood of West End/Midtown, & wanted to show more from my trip to the fabulous luxury liquidator boutique, UAL. UAL is one of those places you must check regularly, or risk missing out on serious scores. The day I popped in, I took over 20 items to the dressing room & that was after excising some major will power to not take in everything! I first fell in LOVE with this L'Wren Scott dress - the birds reminded me of a Picasso print I had in my room growing up, & the fit was just perfect! From the 2013 Resort Collection, I still regret not getting this forever piece while I had the chance! I also fell head over heels for this pair of paper bag shorts from Theory. I couldn't even believe they were made of leather - so soft, so perfect! Everyone else, check out UAL on eBay! Okay that dress is thebomb.com! Those shorts SHOULDN'T be cool but they totally are - on you, anyway! those shorts are amazing!! great color! I have been wanting to visit Nashville for the last couple years and now you have been wanting to go even more. I love that yellow dress. 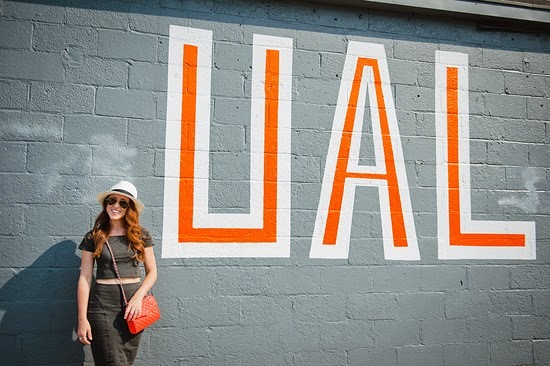 I will have to check out UAL next time I'm in town! Love the print on the dress! Nashville has the cutest boutiques ever! Loving these looks. Miss UAL so much! !